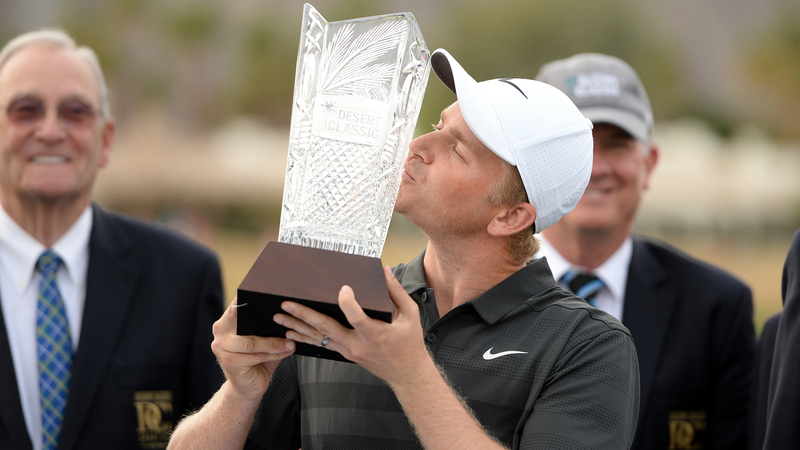 Adam Long claimed his first PGA Tour title by winning the Desert Classic ahead of Phil Mickelson. American golfer Long earned a one-stroke victory following his final-round 65 on Sunday. Long went shot-for-shot with 43-time tour champion Mickelson in the fourth round at the Stadium Course in La Quinta, California. The two were in a three-way tie for first with Canadian Adam Hadwin, but Long used an aggressive approach and birdie putt to finish 26 under for the tournament. Mickelson, who started the day as the 54-hole leader, opened his round with a bogey on the par-four first hole en route to a three-under-par 69. The five-time major winner carded three birdies before another bogey on the front nine. He was flawless after the turn but back-to-back birdies on the 15th and 16th hole were not enough. Mickelson just missed a birdie putt to take the solo lead, eventually tying for second alongside Hadwin (67). Americans Talor Gooch (64) and Dominic Bozzelli (66) finished fourth and fifth respectively. Jon Rahm, the 2018 Desert Classic champion, was five shots off the pace at the end of the event. Spanish star Rahm inched up the leaderboard after shooting a five-under-par 67. World number one Justin Rose (70) fell five spots to finish in a six-man tie for 34th place at 14 under.